Composed, arranged, and produced by Kevin R. Osborn. Kind of a one man band thing. This runs the gamut of electronic music styles: Techno, German Space and German Synth, New Age, and Annoying Pop are all found on this CD. All right, here’s the good stuff. Of the 10 tracks, 8 tracks are surprisingly exploratory. I can hear a lot of German Space and Synth influence and Kevin does it right. He doesn’t let the compositions drift off into mind-numbing New Age. There are some nice modern touches (in his sound selection) and the sequenced parts and the drums aren’t overly repetitious. The songs are for the most part melodic and go to a logical conclusion rather than being sound explorations that fade in and fade out. I particularly liked Kevin’s softer poetic pieces. Overall, the music has a nice spacey soft feel to it. Unfortunately, there is some bad stuff. 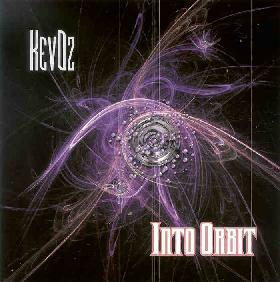 The overtly Techno piece "Into Orbit" doesn’t really fit and since it‘s the second track, it’s a bit distracting. The Annoying Pop piece, "Skybaby", is at the end of the CD. It opens with that Mariah-Carey-like vocal wordless intro. Unfortunately, it soured me on the CD, and I almost threw it away. I don’t really like to write bad things about anyone’s music, but those 2 tracks just don’t feel right for this CD. I admit that I do like this CD, even though I skip the 2 offending tracks. For more information you can visit the KevOz web site at: http://www.KevOz.com. Hear music at the KevOz Mp3.com web site at: http://www.mp3.com/kevoz. Contact via snail mail c/o Ozland; 3763 N. Oconto Ave; Chicago, IL 60634.